Your daily dashboard for Lake Tahoe. 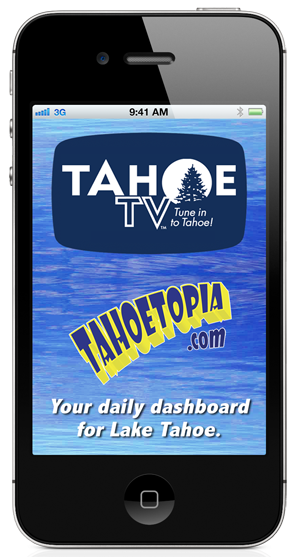 Tahoetopia's Lake Tahoe App delivers the timely, relevant content you need to stay in touch with what's happening in and around Lake Tahoe. How is the Lake Tahoe App so useful? Read this post from Urban Daddy. Or, check out the article on 7x7SF titled "Everything You need to Know About Tahoe is Now At Your Fingertips" - read article. Tahoetopia is proud to introduce the app companion to it's popular website, Tahoetopia.com. 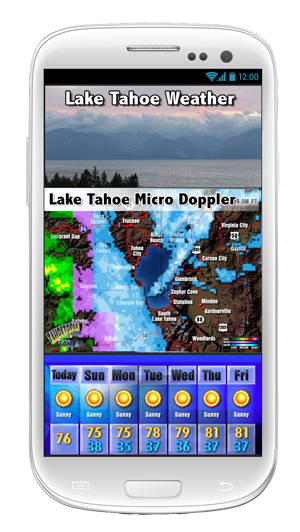 This straightforward, simple app provides the key content you need to connect with the Tahoe scene, wherever you are.The Tahoetopia Lake Tahoe App is available for both iPhone and Android devices. The Latest Webcam Technology In Your Hand - Tahoetopia's exhausting collection of live webcams available on the Lake Tahoe App include a growing list of the latest in iOS-compatible HD streaming webcams, giving you direct access to what's happening as it happens. Check the slopes or your favorite spot on the lake from the car, the office, the chairlift, or even the plane! 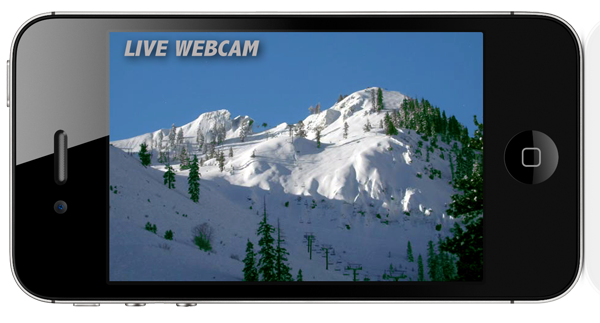 Live Webcams - Live and streaming HD webcams right to your hand from resorts and key locations around the region. 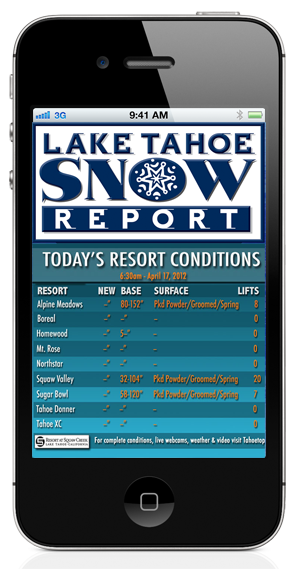 Lake Tahoe Snow Report - Check the conditions at your favorite resorts and spots. Updated every morning, all winter long. Lake Tahoe Watersports Report - Check the conditions on the lake. Updated every morning, all summer long. Events - Complete regional event calendar, including live music, festivals, competitions, festivals, and more. Video - Tahoe TV's updated featured videos capturing all the fun and action of the Tahoe experience. Features - News and stories plus feeds/updates from key sources around Lake Tahoe. Tahoe Deals - Special offers, deals and discounts on activities, dining, shopping, lodging and more. Featured Business Directory - Check out our selection of participating restaurants, bars, shops, services and more. Photos and Sharing - Share your Tahoe experience with the Lake Tahoe App community and win! Music/Video - Watch, listen and download music and videos from Tahoe-area musicians and bands. The Tahoe TV Lake Tahoe App is a work in progress and we look forward to your feedback as we add content and tune and refine the functionality of the app. Please rate the app in the App Store or Google Play or right here on Tahoetopia.com's feedback link so we can make progress improve! "I love the app! Love the Snow Report. Weather section is INCREDIBLE! And the entire application is easy to navigate. My favorite app. Great Job, guys!" - Leslie Benton, New App User. "This is awesome! Well done!" - Kirsten Appleton, New App User. "I like it! Definitely will be checking this app each morning." - Karen Willcutts, New App User.